Derryl Yeager is a dancer, choreographer, actor, and director. 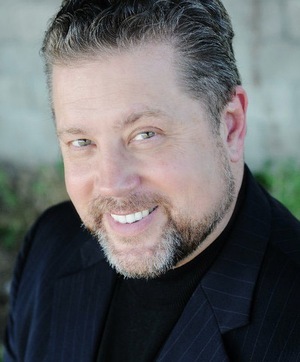 He is the founder and artistic director of Odyssey Dance Theatre in Salt Lake. Yeager was raised in Amarillo, Texas, and started dancing in high school in the musical Camelot. The director of the show had a dance studio and told Yeager that he had an aptitude for movement. After a year of dance classes, he earned a summer scholarship at the San Francisco School of Ballet. On the way to San Francisco, he and a friend stopped in Salt Lake City and discovered Ballet West. After meeting William F. Christensen, he decided to go to the University of Utah and work with Ballet West. He started as an apprentice and stayed with the company for six years, eventually becoming a principal dancer. He earned his BFA degree in performing arts and MFA degree in choreography from the University of Utah. He taught dance for a little over a year at Brigham Young University before he branched out into Broadway in New York City. He also performed theater in Los Angeles (for example, Cats for two years). While in LA he performed in movies, such as Staying Alive, and television shows, such as Touched by an Angel, Fame, Moonlighting, and daytime drama including Days of Our Lives, The Young and the Restless, and General Hospital. He has choreographed for theatre, ballet, television, film, and music video. Yeager joined The Church of Jesus Christ of Latter-day Saints in his late teens and has appeared in Church films How Rare a Possession and The Lamb of God. This page was last edited on 23 January 2016, at 22:34.